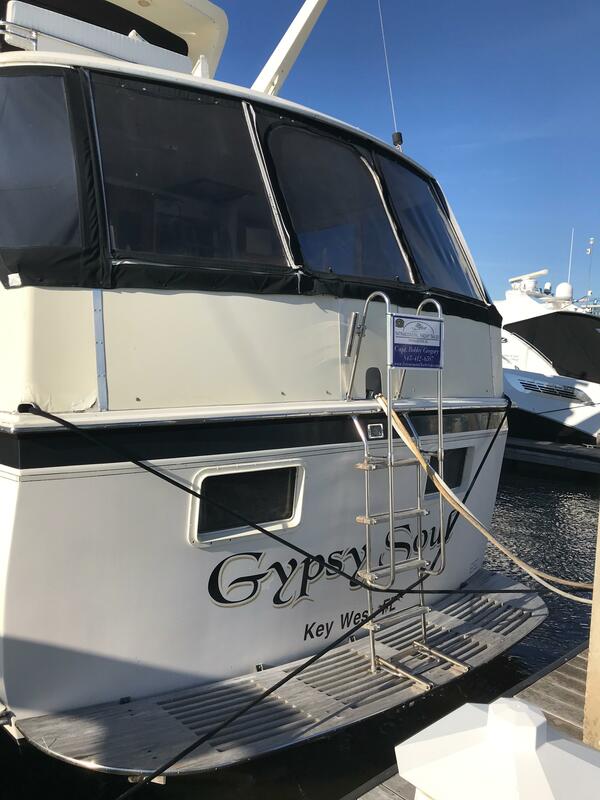 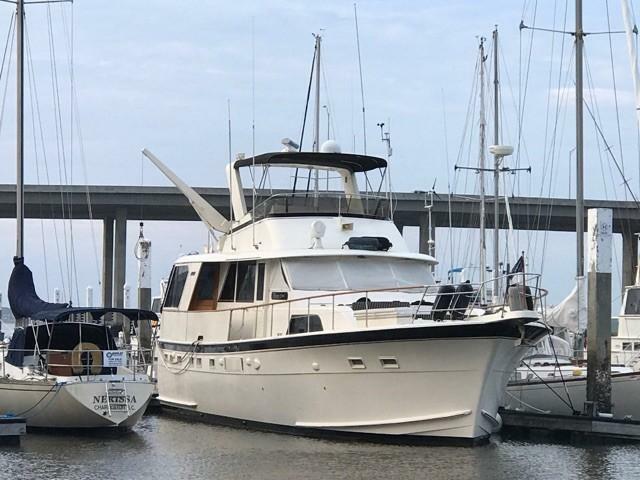 If you are a discriminating Yachtsman looking for a updated Motoryacht with a long pedigree that will serve perfectly as a live aboard, floating weekend condo or long range coastal cruiser then this one should be on your "must see" short list. 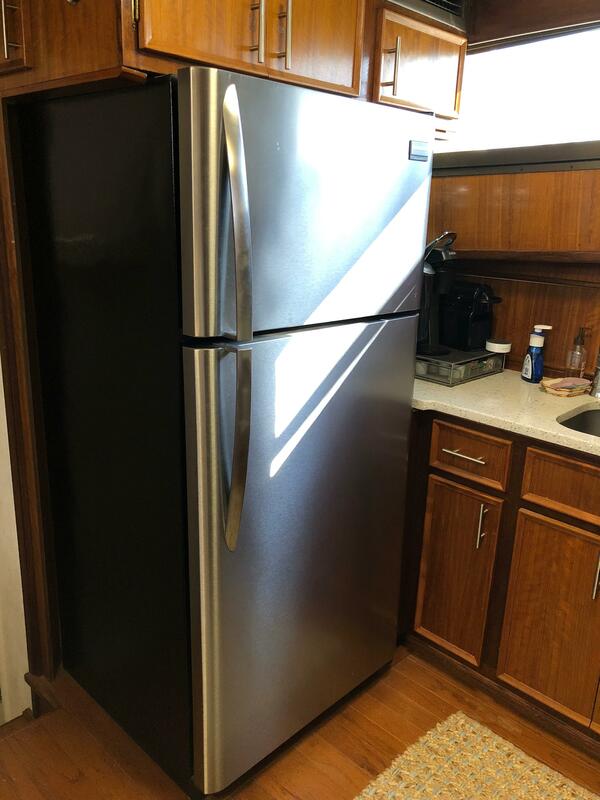 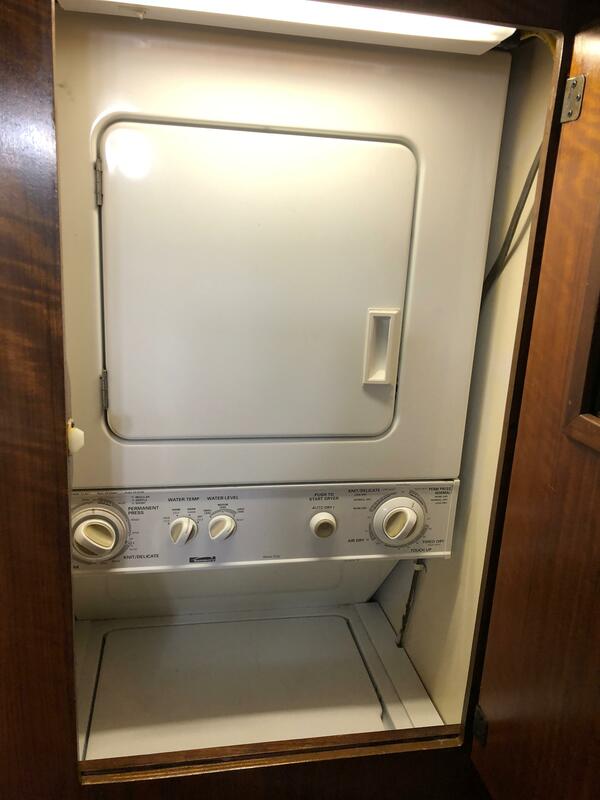 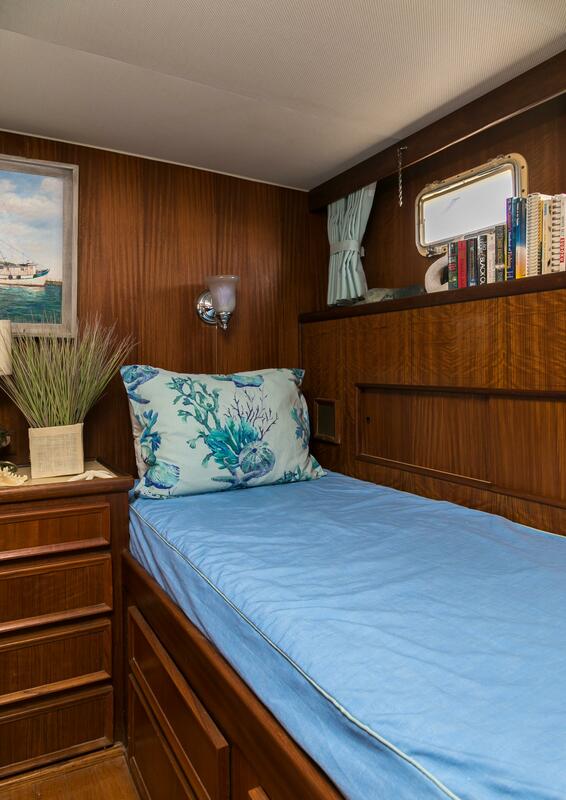 The interior has been professionally upfitted with modern materials and new appliances and looks much younger than her actual age. 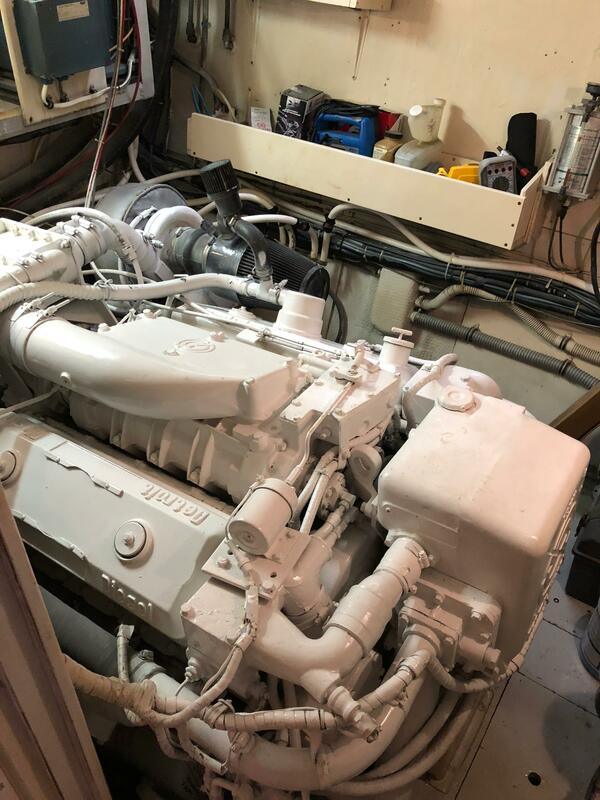 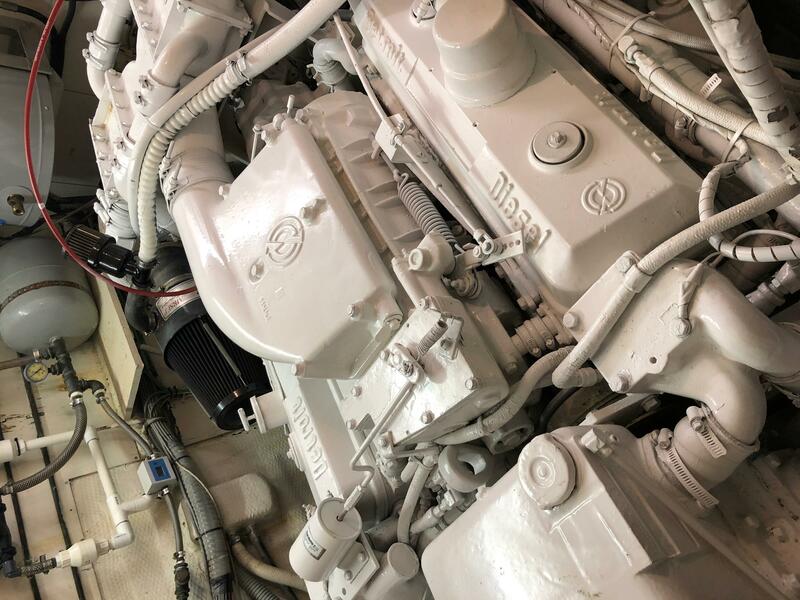 The 8V71 Detroit diesels are considered 'bullet proof" and the boat features Niad stabilizers. 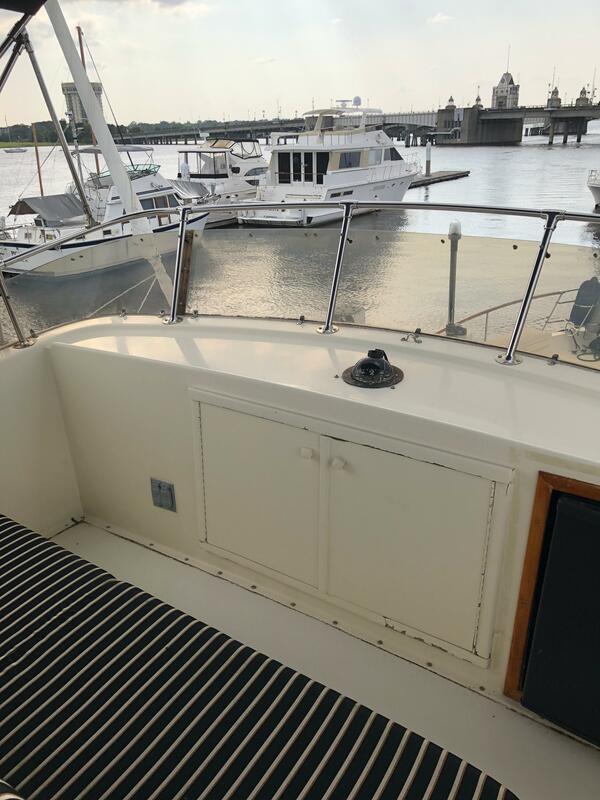 Bottom Paint is fresh and she is ready to go. 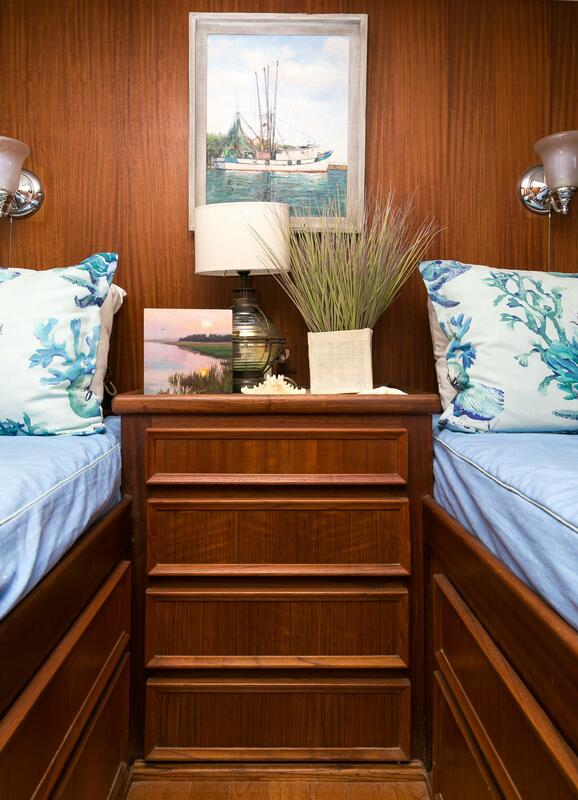 Call today and start planning your cruises. 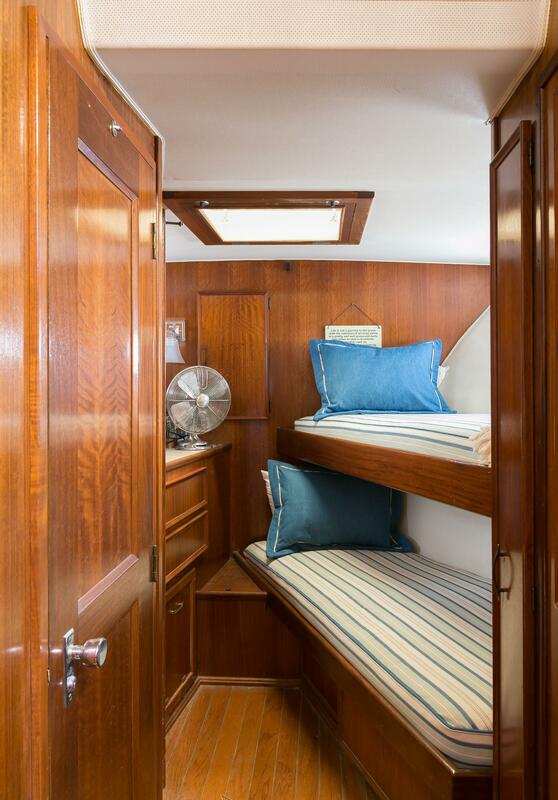 Comfortable overnight accomodations in 3 private staterooms each with it own dedicated head. 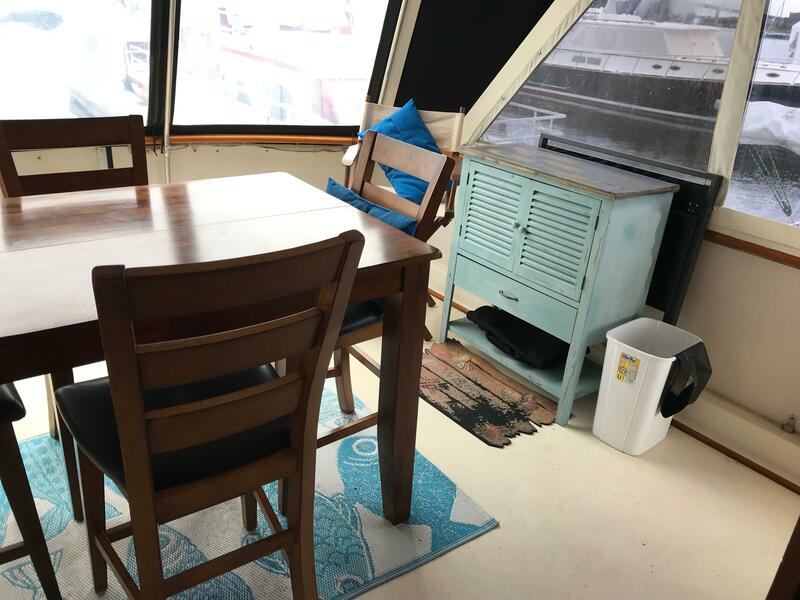 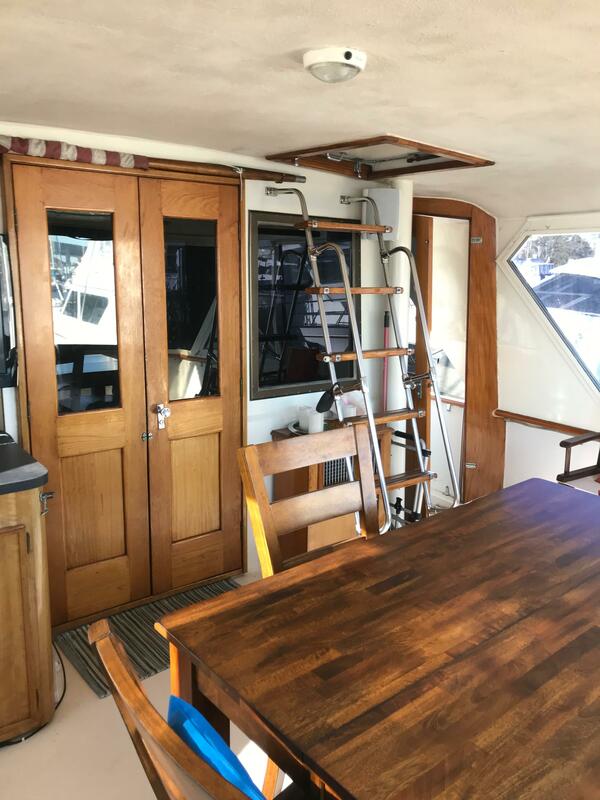 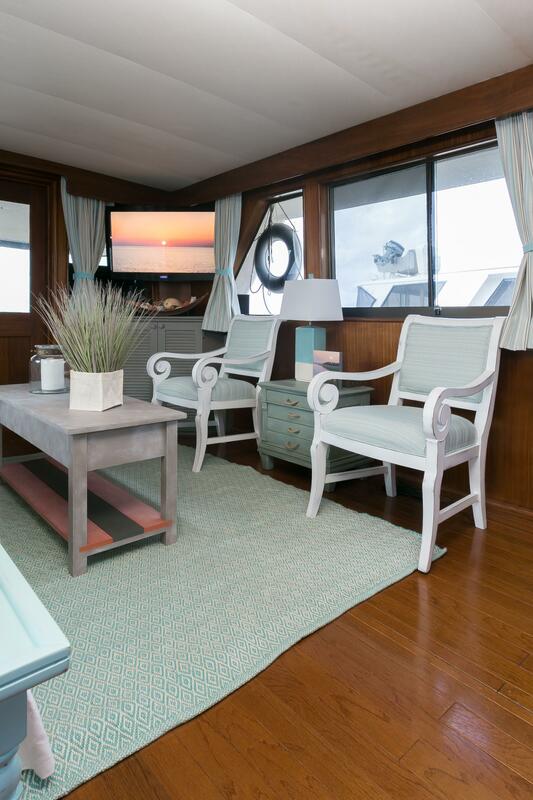 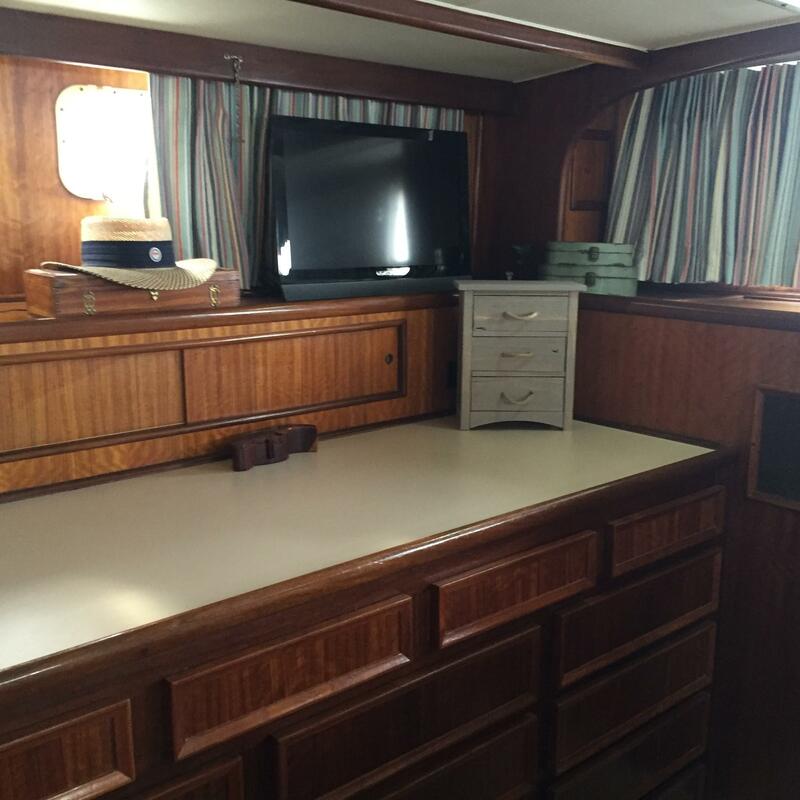 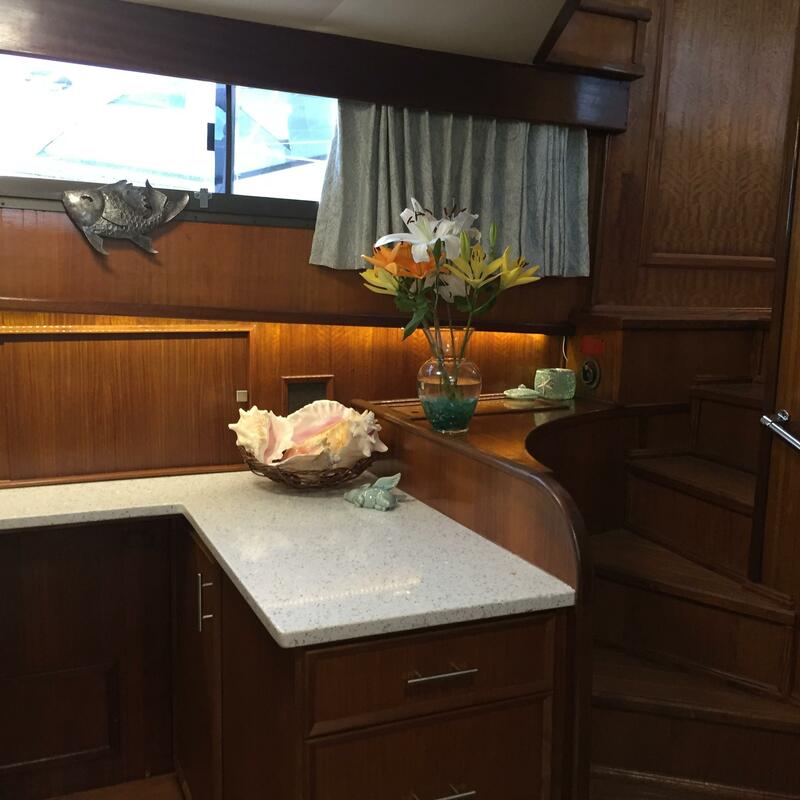 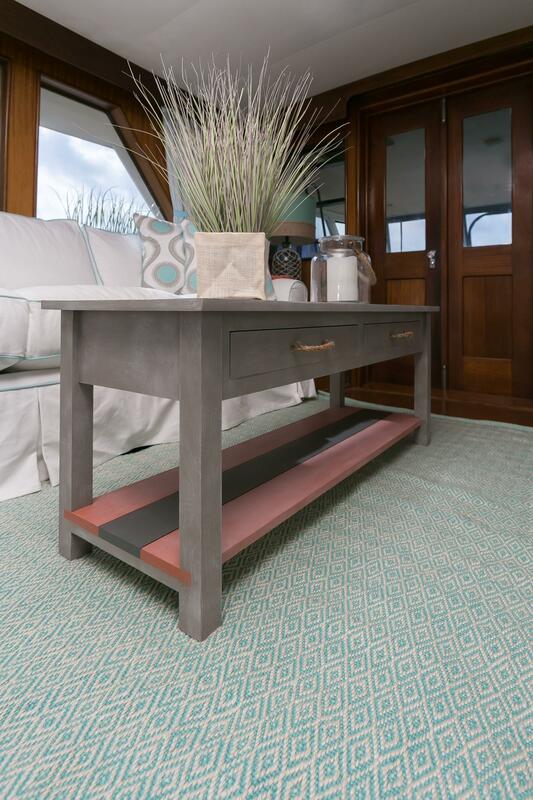 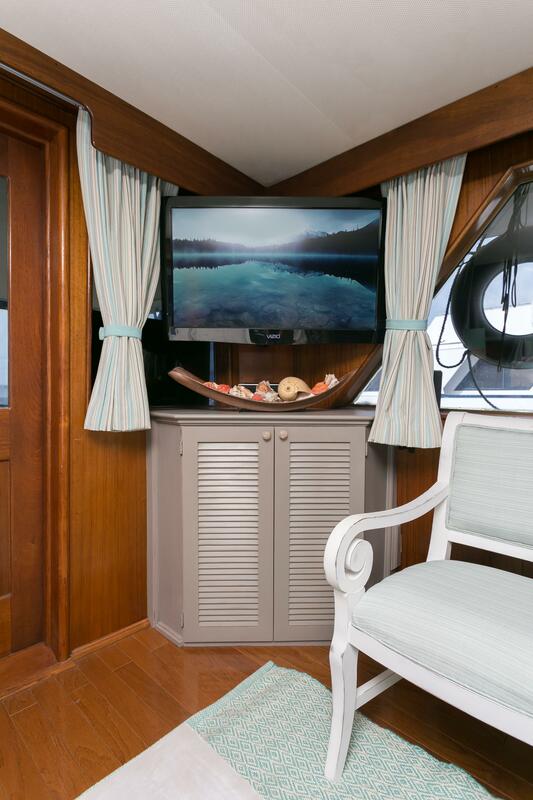 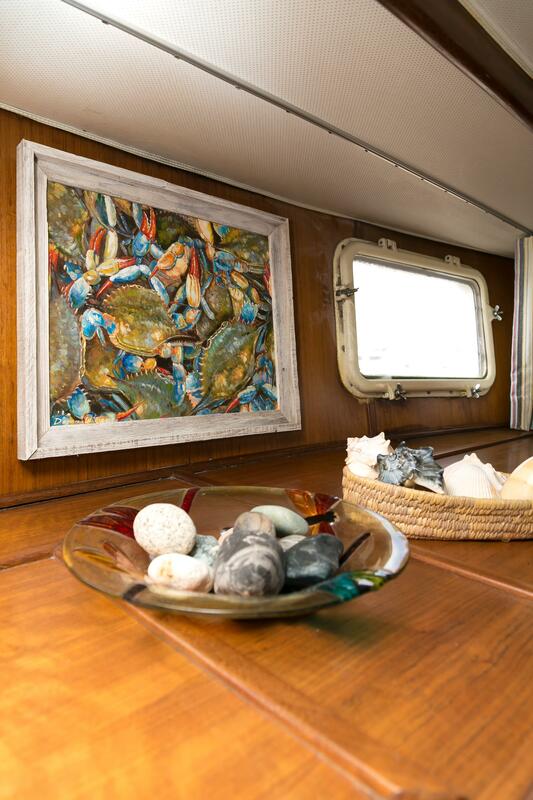 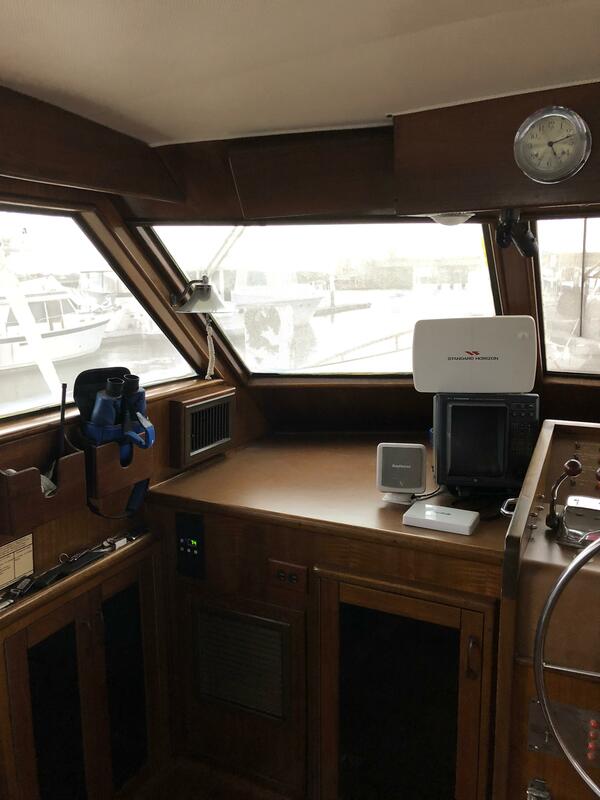 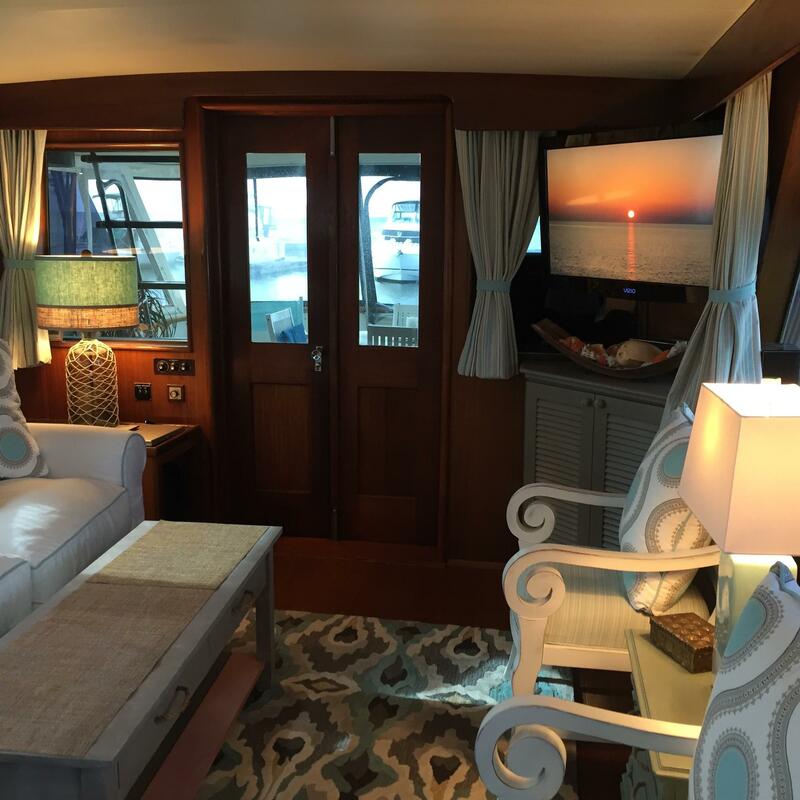 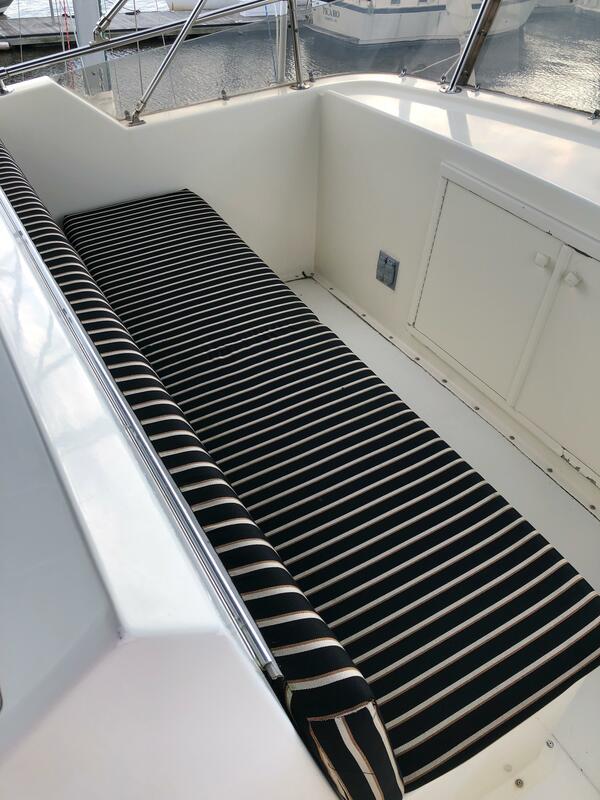 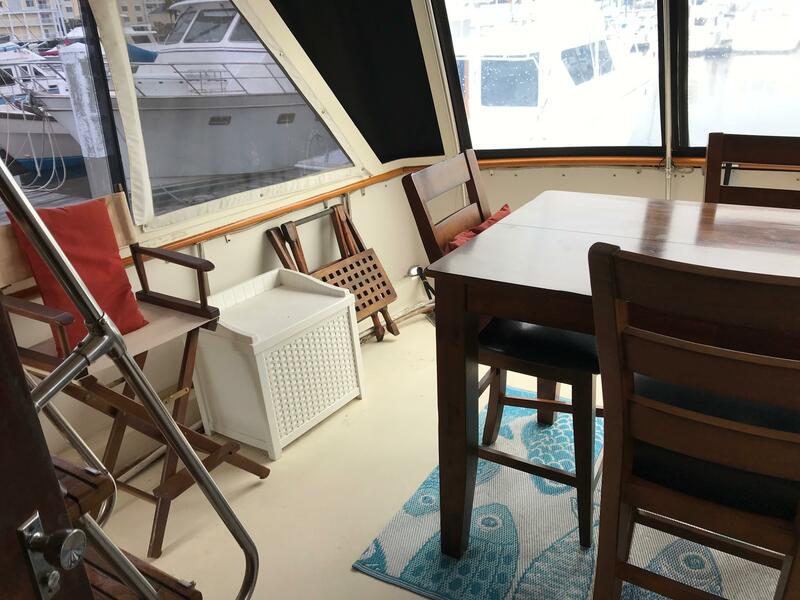 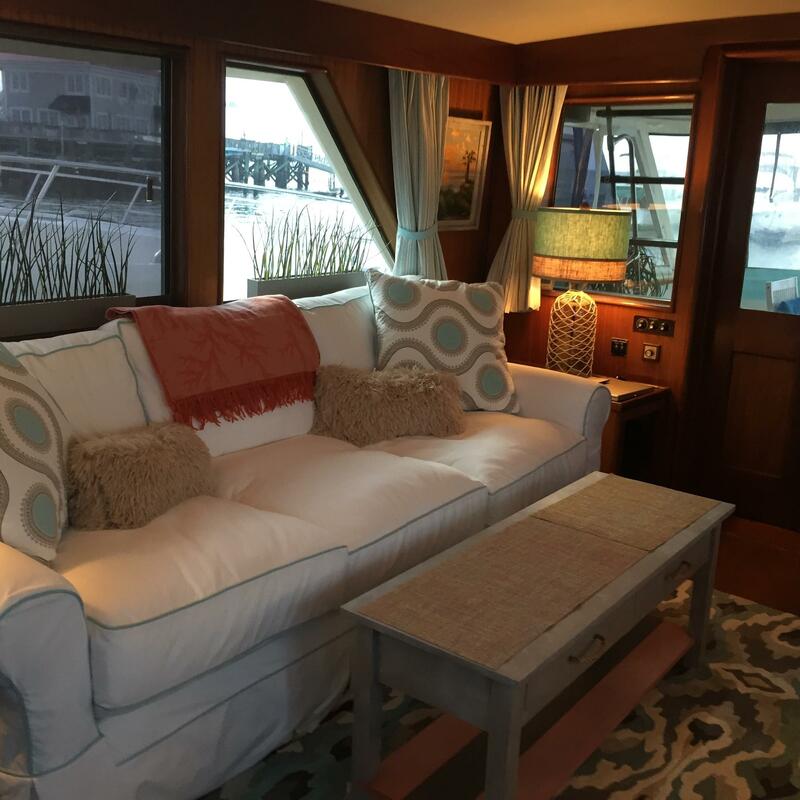 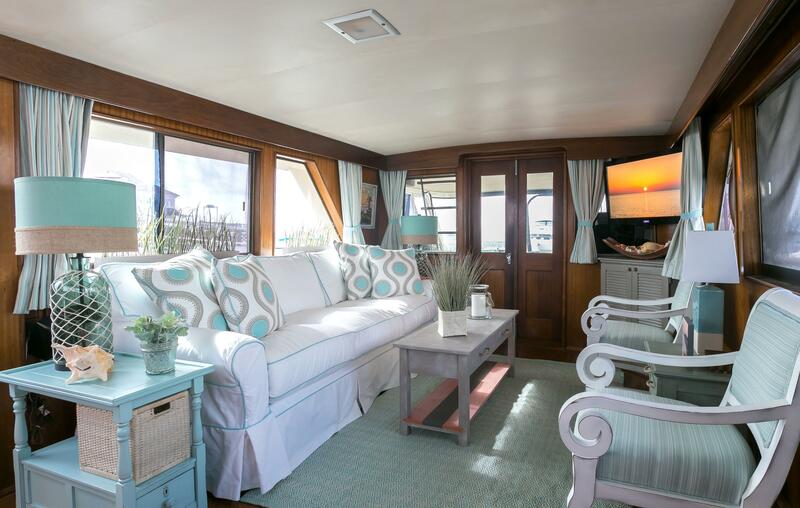 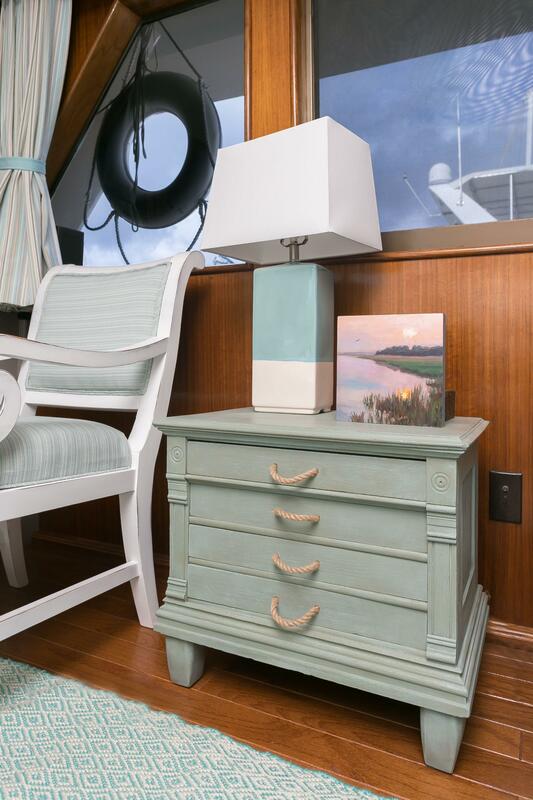 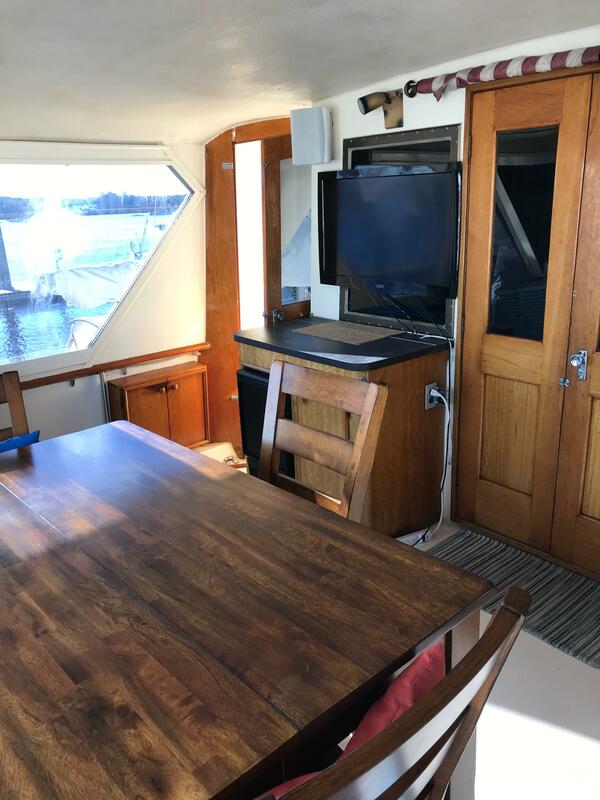 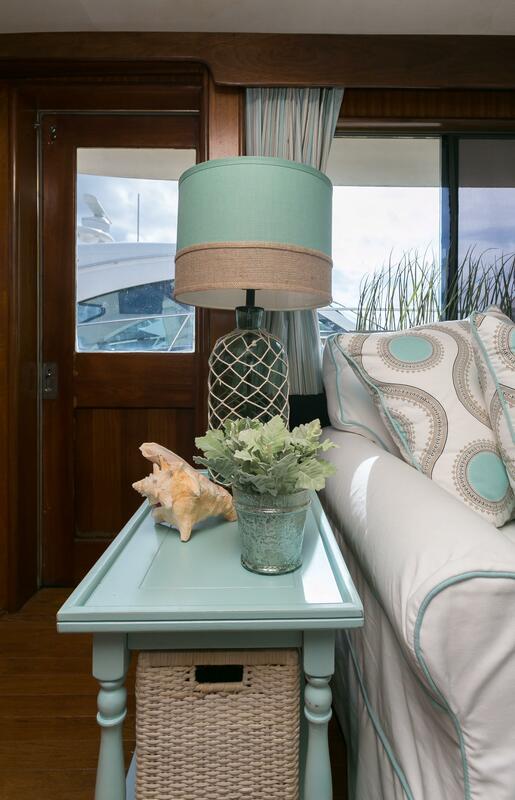 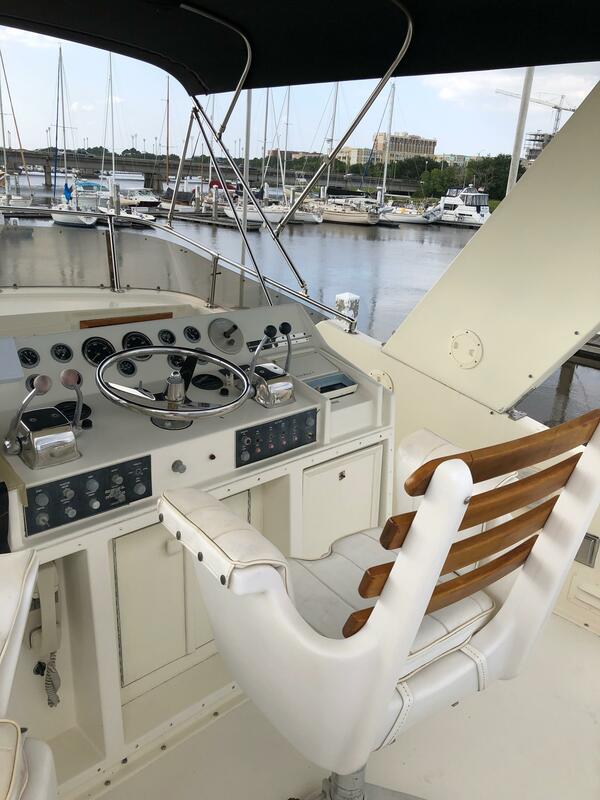 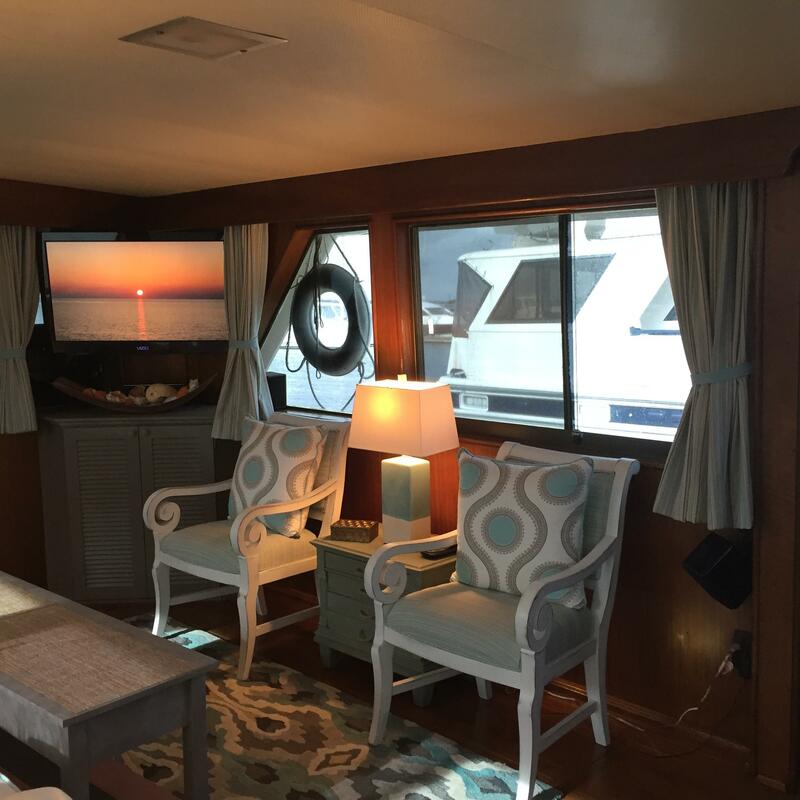 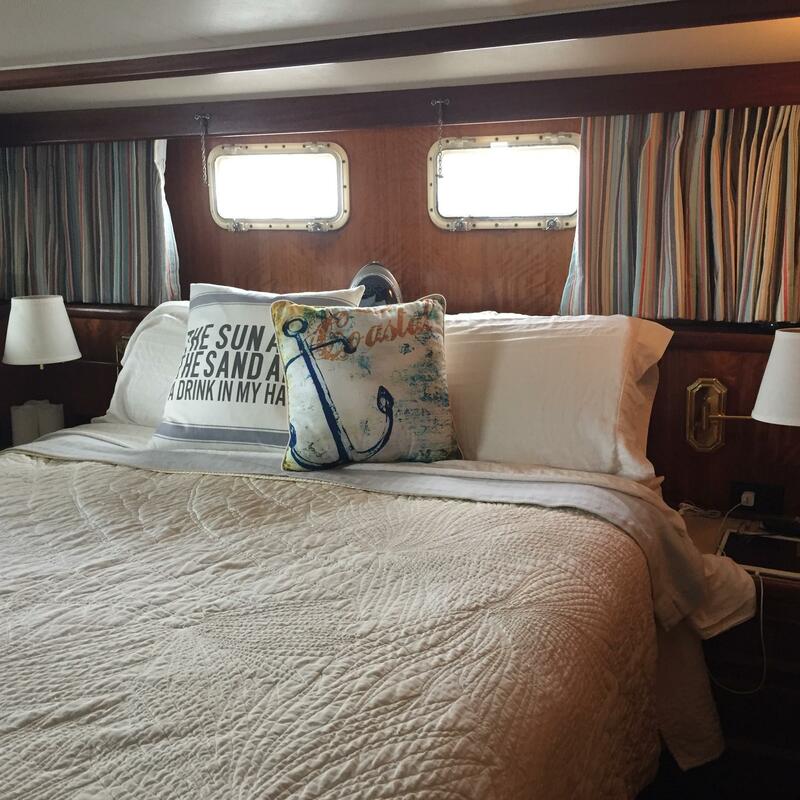 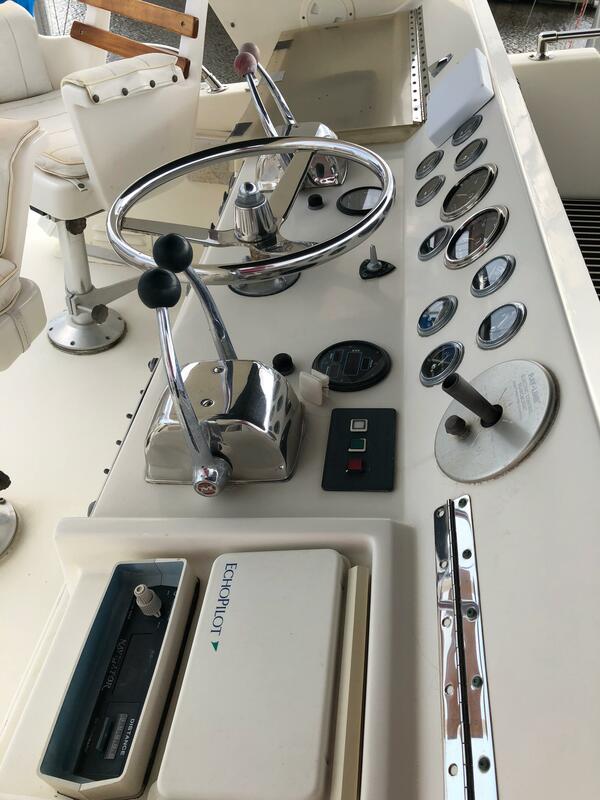 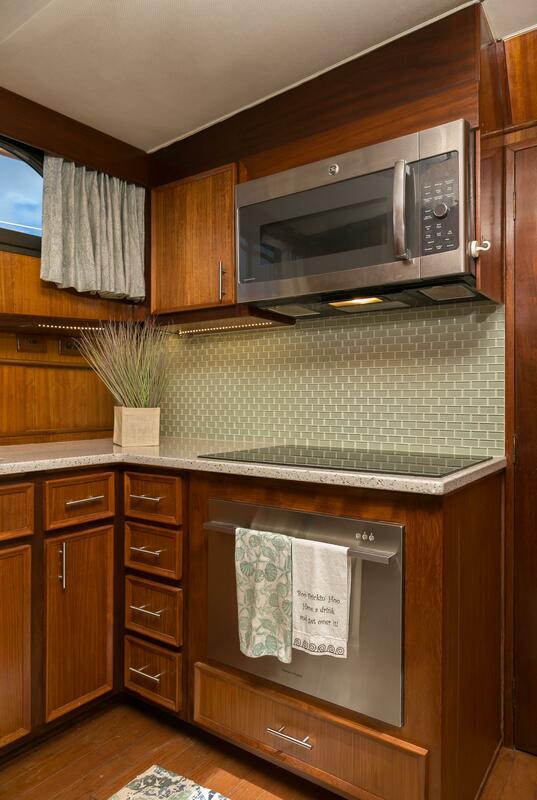 In 2016 the owners of this fine vessel hired a professional interior decorator to update the interior and they made sure it retained the "nautical" feel expected in a fine Motoryacht with a long pedigree. 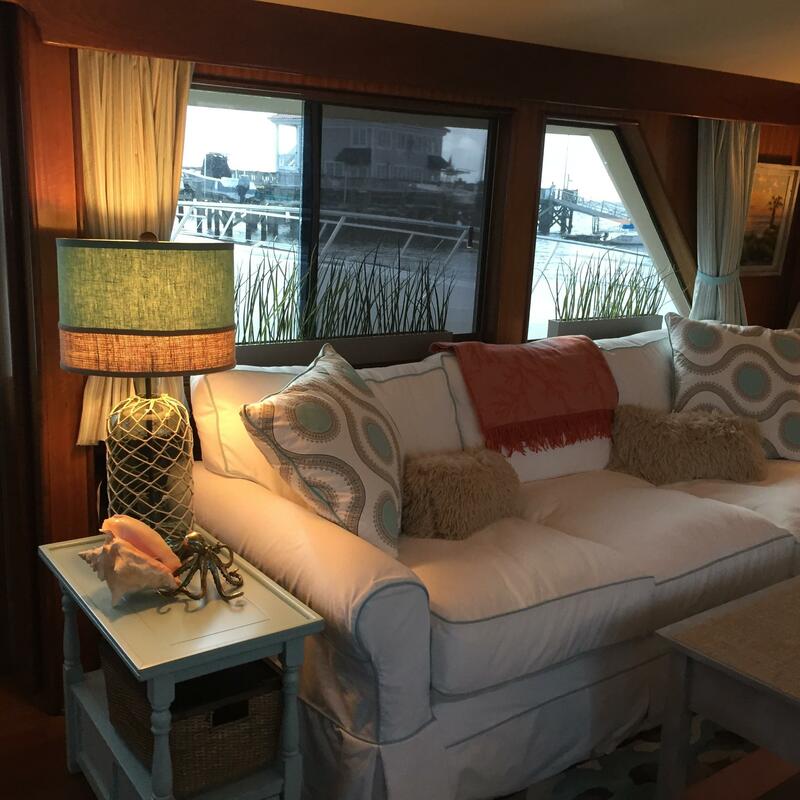 It was featured in Charleston Home and Design Magazine and was met with high praises. 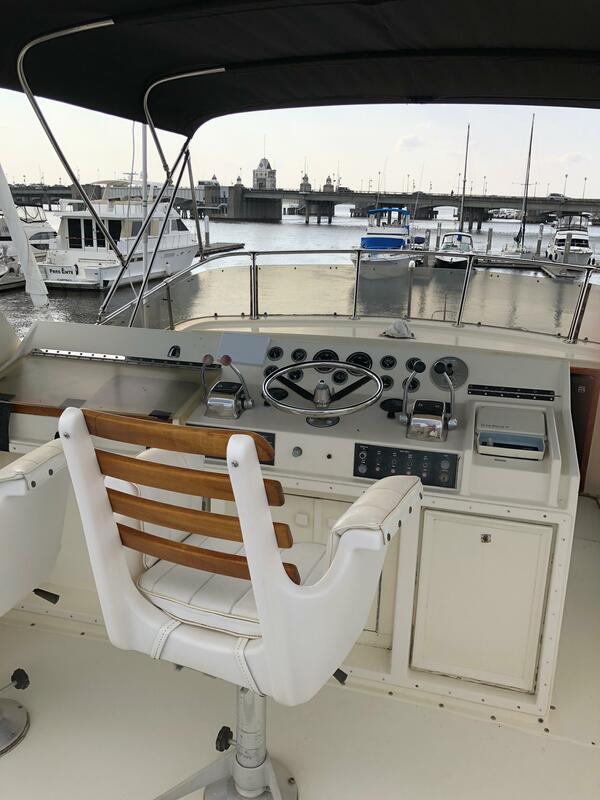 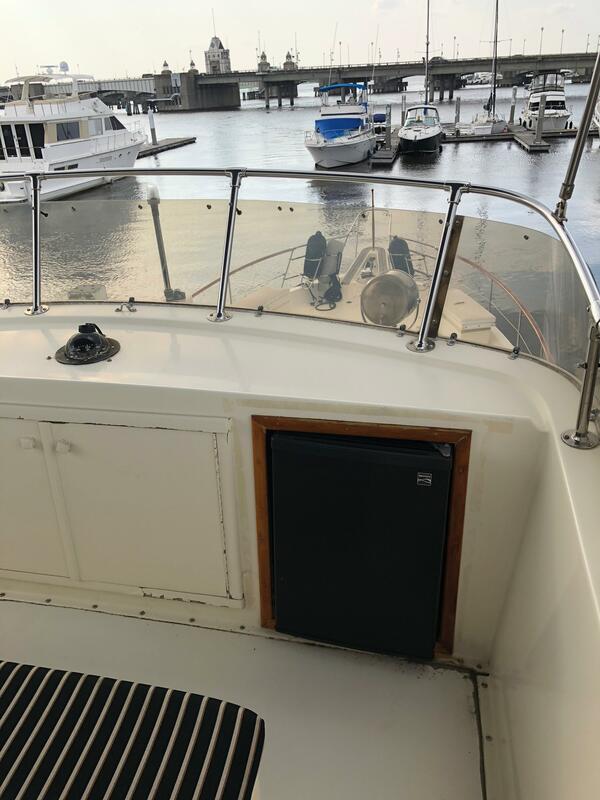 When I first went aboard this vessel I could not believe my eyes.....a 41 year old boat is not supposed to look this good! 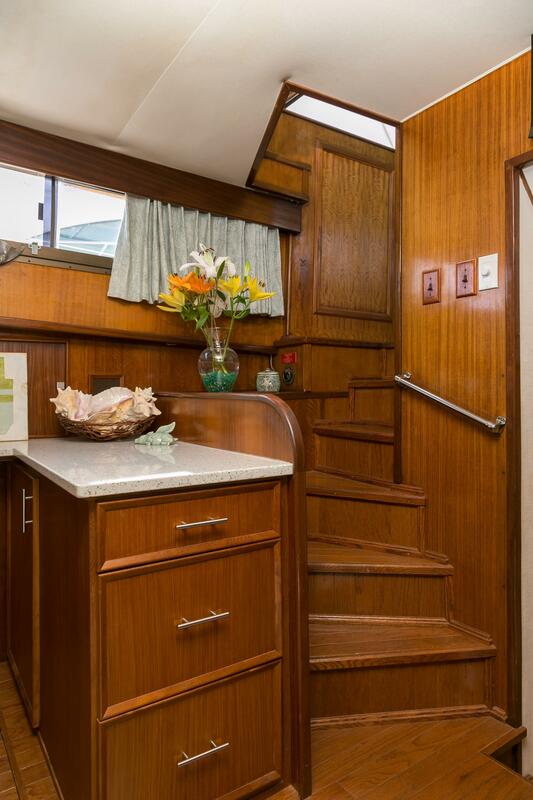 The owners have taken a boat with a long pedigree and updated it to todays tastes and standards. 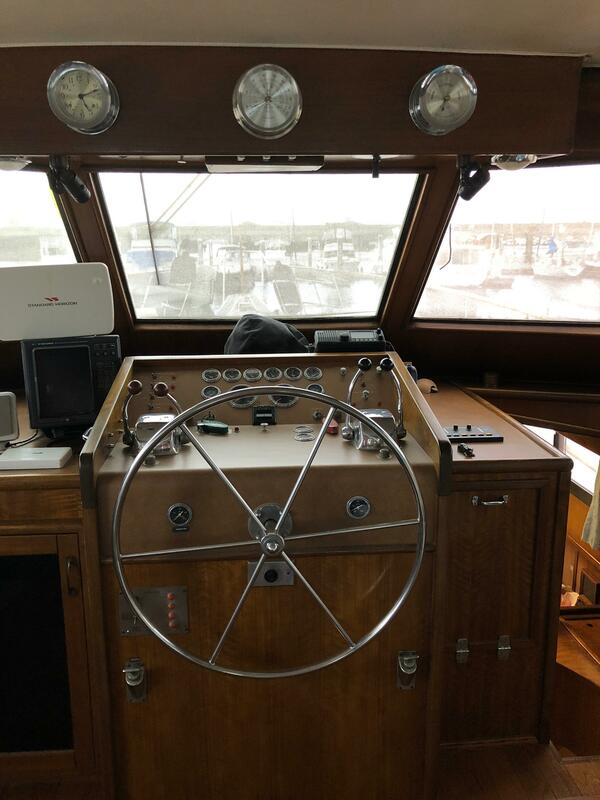 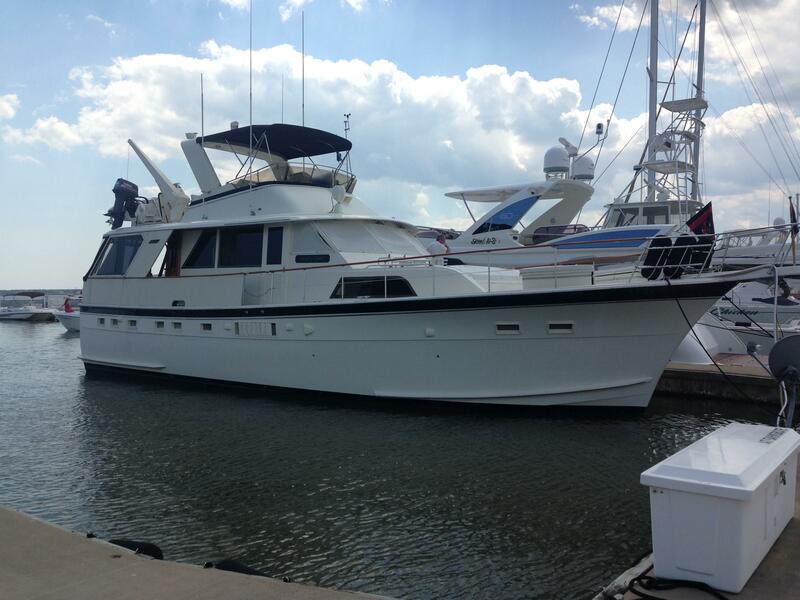 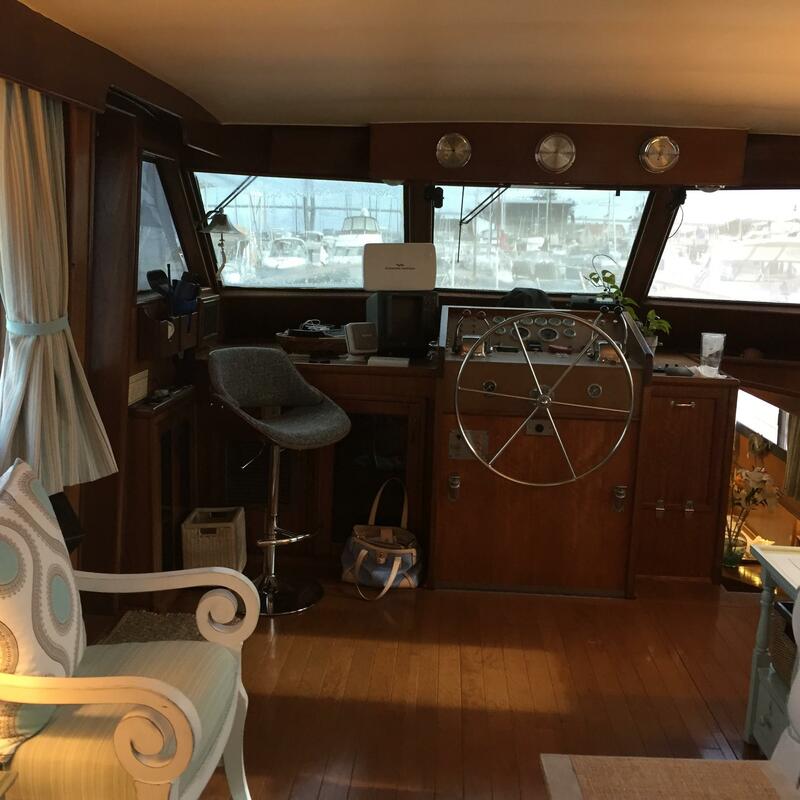 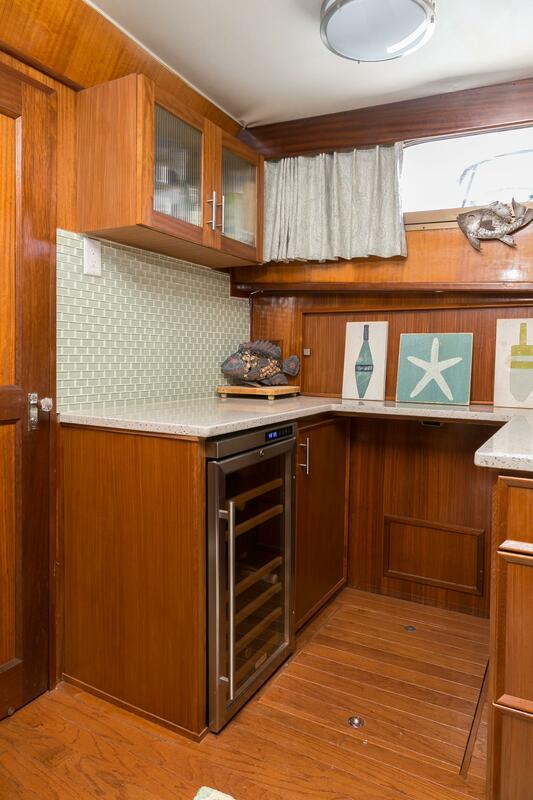 This one will make her next owner proud and will serve nicely as a live-aboard or long range cruiser. 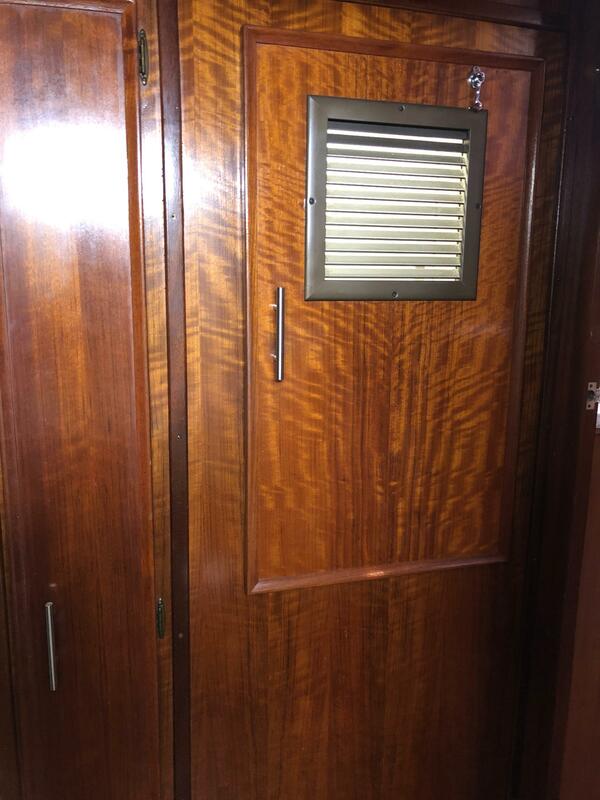 She would also be a perfect "looper" with her hinged radar arch getting the air draft down to a workable height. 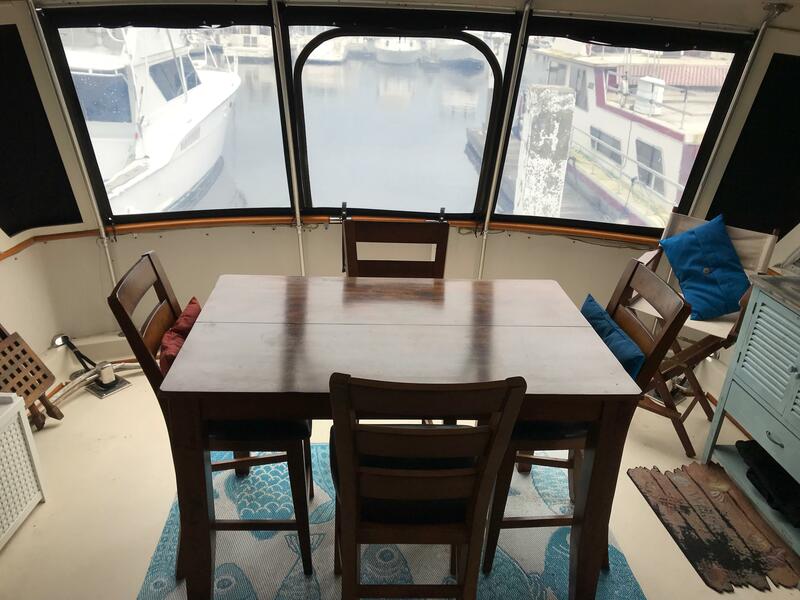 Call today for a time to visit this vessel and you will not be disappointed. 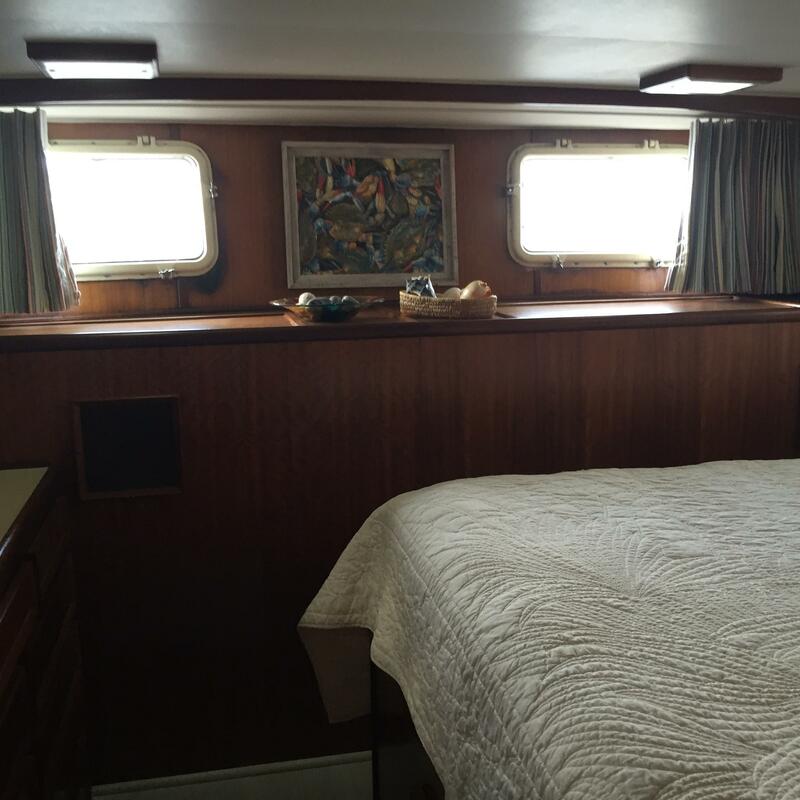 Dingy shown in picture is not serviceable and is not included. 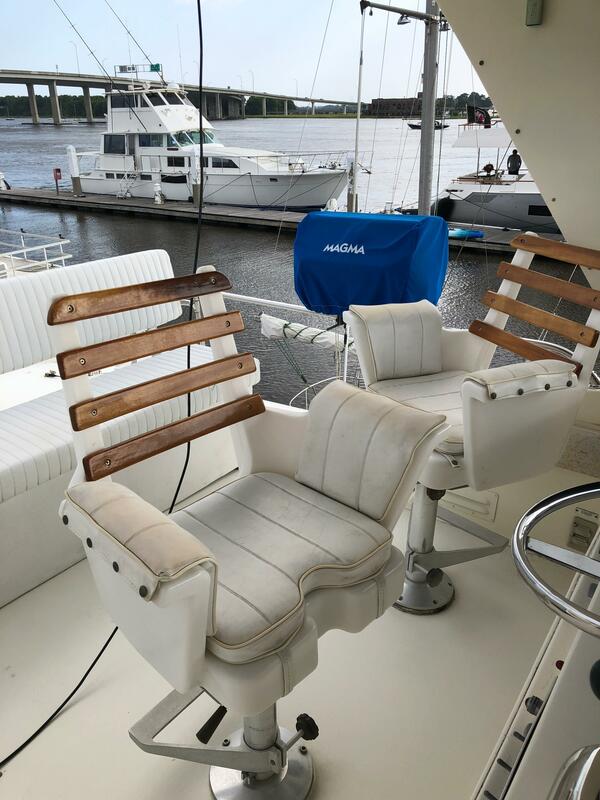 Intracoastal Yacht Sales of Charleston S.C.
@ Charleston City Marina 17 Lockwood Dr.